Just as with any important decision you make, you should estimate the cost of custom CNC machining before having any work performed. That way, you can budget correctly for high-quality results. As you research different CNC fabrication companies, you will see various prices. For precision parts or components, it is essential to make comparisons in experience, expertise, CNC machines, and other factors to ensure that you hire the right company. The best way to determine custom CNC work cost is to consider different factors involved. For example, the workpiece material plays a key role in how much you spend. 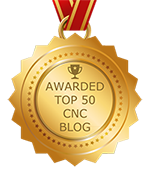 Even with incredible advances over the years, some materials used for CNC machining are more expensive than others. Another issue is that some materials machine at slow speeds. Also, harder or denser materials tend to wear down cutting tools more quickly, which adds to the cost. If you need potentially hazardous materials machined, special safety precautions can impact the overall price as well. The geometry and dimensions of the part or component that you need CNC machined also affect CNC machining costs. As you can imagine, having a large product fabricated is going to be more expensive than something smaller. Even sophisticated or intricate part or components will increase what you pay. For this reason, you should always consult with the design team at the company you hire so that you can decide on a product that is both functional and cost-efficient to produce. You also need to factor in the required manufacturing equipment. As an example, you will likely spend less having a product made on a machine with just one multi-axis as opposed to the fabrication company using more than one CNC machine. Things to factor in regarding CNC machines include the brand, type, capability, size, and quality. Parts or components fabricated with unique treatments or finishes will impact the overall cost of CNC machining. In other words, specialized coatings, surface finishing, and any specialty machining operation would increase the base cost of a professional service. Even the skill of the operator who inputs computer code as well as the computer program has an impact on price. A complex product requires exceptional talent, which means paying more for someone with unique training, education, and experience. At NexGen Machine, we offer excellent CNC machining services at competitive rates. For a quote on your project, please contact us today.